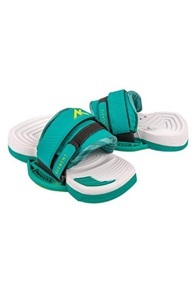 Buy Kiteboard Bindings Online - Kitemana! 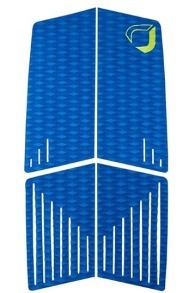 Looking for a new pair of kiteboard bindings? Look no further, you ended up on the right page. 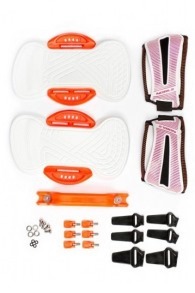 Kitemana has a wide variety of bindings from all the major brands. 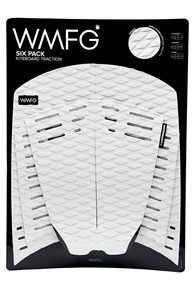 Every kiteboard manufacturer has his own uniquely designed binding to provide you with the just right amount of shock absorption and grip while kitesurfing. When you're buying a new set of bindings always check the distance between the inserts on your kiteboard because some kite brands use different distances. As a result, some brands won't fit on your board. If you have a question about kiteboard bindings? Please give us a call or send an email and we will gladly answer all of your questions. Want to know more about bindings? Read more. Kiteboard bindings are the main link between you and your kiteboard. 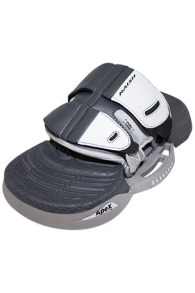 We believe that you shouldn't try to save money on a pair of bindings. 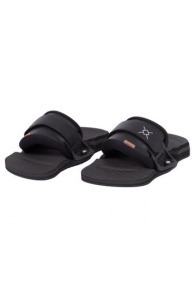 As they provide a lot of comfort and confidence during a kitesurf session. If you're feeling comfortable while riding your kiteboard, you will get more confidence for a big jump. On top of that, a good set of bindings provide additional shock absorption during a landing, which is good for your knees and ankles. Kitesurfing generates a lot of force on your joints, these forces mainly gets absorbed by your bindings, also the flex in your boards can help reduce the forces on your knees. 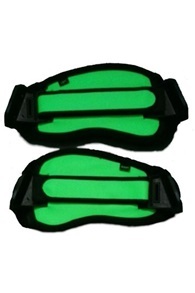 Kiteboard bindings usually consist of two parts, footpads & footstraps. 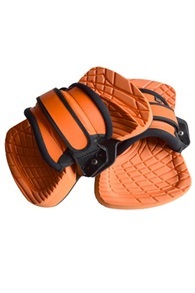 The pads function as a shoe sole and provide shock absorption and support for your feet while kitesurfing. 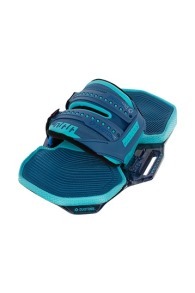 The straps make sure that your feet stay on the pads so you don't lose your board while making a jump. 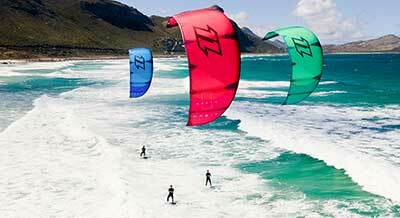 Most major kite brands make a combination of the two which connect perfectly. A nice thing about this is that you don't need to assemble them yourself, the manufacturers have already done it in the process. 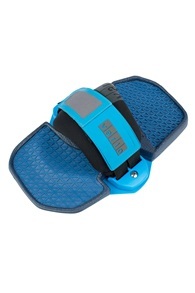 Some other brands release separate straps which give you the freedom to mix and match until you have found the perfect set of bindings for your style of riding. 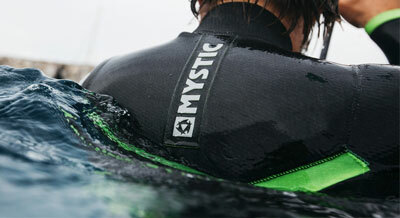 Nowadays there are many types of kiteboard straps available. The most common straps are adjustable by one velcro fastener at the top of your strap. 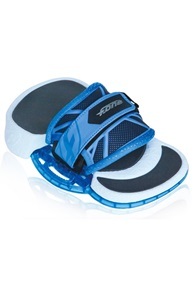 There are also straps with 2 velcro fasteners so you can adjust the straps even better around the shape of your feet. To save weight, there are also non-adjustable straps, but they are mainly used on kite surfboards because you hardly ever make a jump. 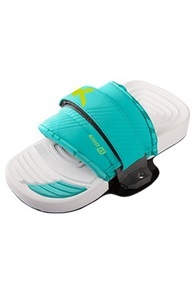 At the inside of the footstrap, there is usually a layer of neoprene to provide a soft connection between your feet and the strap. 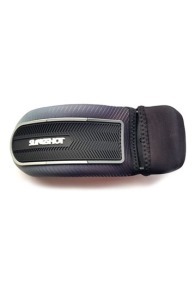 A good thing about neoprene is the fact that it is water resistant which provides a good and firm grip. 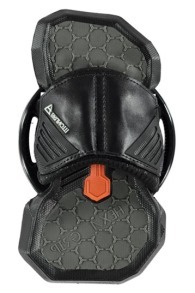 Another kind of kiteboard bindings are kiteboard boots. 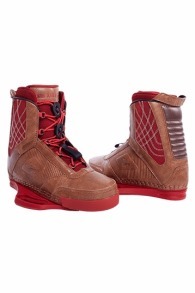 These boots look a lot like wakeboard boots and offer a permanent connection between the kiter and his kiteboard. You simply put your boots on at the beginning of your kite session and after you have finished you take them off. A huge advantage when riding boots is that you don't have to worry about losing your kiteboard during a jump because your kiteboard is firmly attached to your feet. 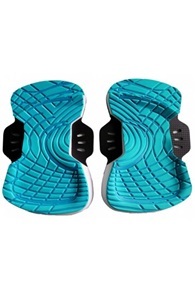 In addition, boots often offer better padding and support than pads & straps. A disadvantage is the fact that your board gets a lot heavier and crashes are more painful. 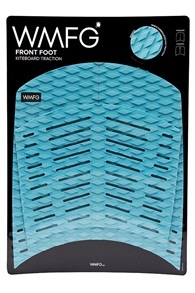 Your board will always be on your feet, even if you wipe out. However, many pro and freestyle kitesurfers use boots because they give more pop, confidence, and control while throwing down some sick tricks.